Every once in a while something special comes along in our inbox, an old mix we’d requested from some close friends or an unexpected submission. This past week was one of those occasions. Two old friends of ours, And and Joe Clockwork, sent us a brand new mix which they’d hinted at in the past year but which I knew would be ready when the time came (they’re best not rushed those two, fine gentlemen that they are). 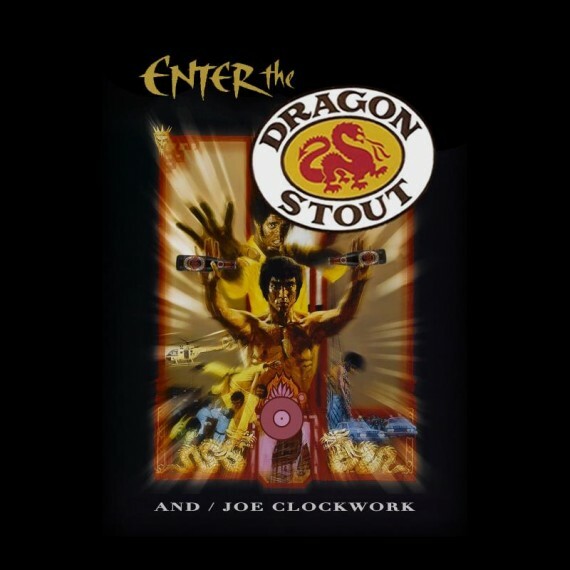 Enter The Dragon Stout is a mix in the purest Rhythm Incursions tradition. 40 minutes of classics stitched together as only these two are capable of, with the sort of skits and attention to detail that’s become all too rare. There is no tracklist, I’m not even going to mention what’s in it, you should just know that it’s dope from beginning to end and even though the names might not mean much to you they come highly recommended. Like HIGHLY. Family tree stuff. As always you can download and/or stream below or subscribe to our RSS or iTunes feed to get all shows direct. With all this said, sit down, pop a Dragon Stout and chill like Bruce Lee. Joe Beats: back with your November installment! This entry was posted on Friday, March 29th, 2013 at 12:30 pm. It is filed under Podcasts, Guest Mixes and tagged with And, Joe Clockwork. You can follow any responses to this entry through the RSS 2.0 feed.